Description: Set in a well established North Hill cul-de-sac in close proximity to Ben Venue Primary and North Hill shops, this beautifully presented weatherboard home offers a character exterior with modern living. The leafy gardens and shrubs offer a private and peaceful escape and the timber deck offers great outdoor entertaining space. - Fully fenced, private back yard with established gardens and trees. This home is ready to move and enjoy. Neat as pin and excellently maintained, and in a great location this home is worth an inspection. For details contact selling agent Tim Randell on 0401 178 786. 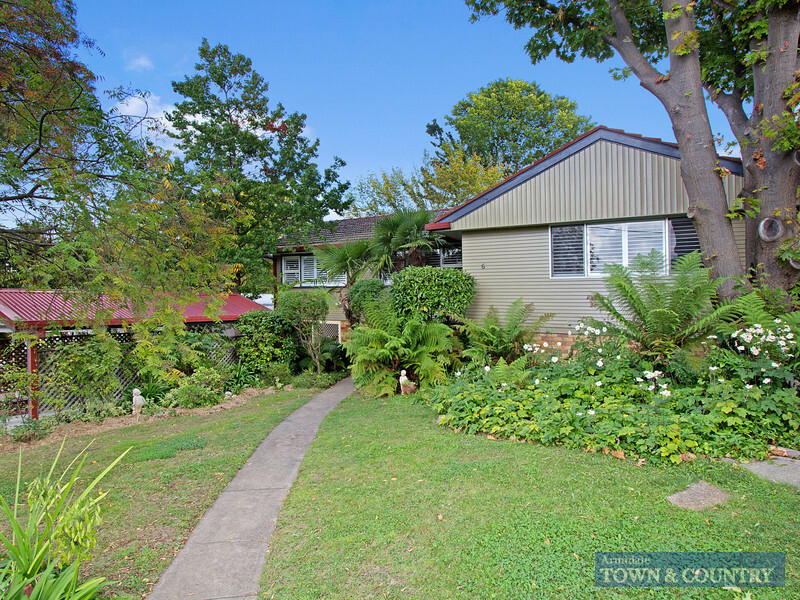 Contact Armidale Town & Country Real Estate Today!!! Email Armidale Town & Country Real Estate Now!